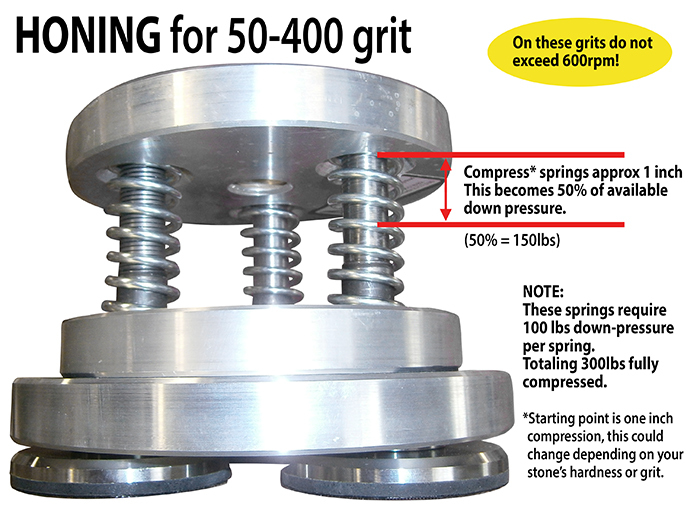 We asked Wayne what’s the optimal down pressures, to start with, when running the low-profile CNC Padhead. Of course this varies, depending on the hardness of the stone and the grit. As noted, do not exceed 600rpms for grits 50-400. 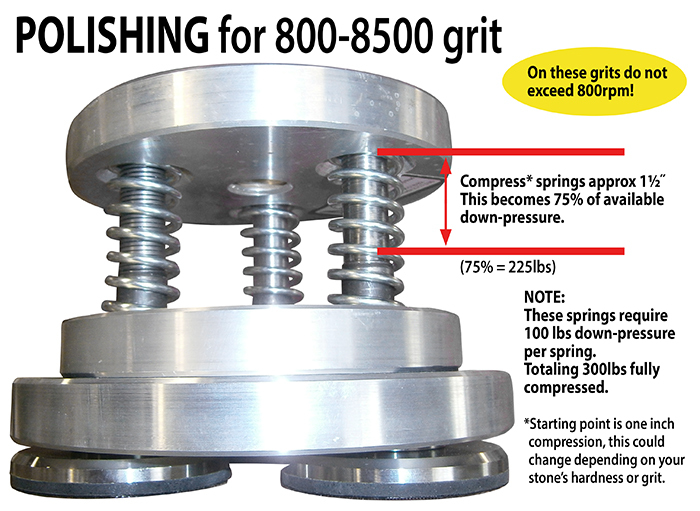 Do not exceed 800rpms for grits 800-8500.